Metro Nashville Public Works will be closing several downtown streets this weekend before and during the inauguration of Gov.-elect Bill Lee. 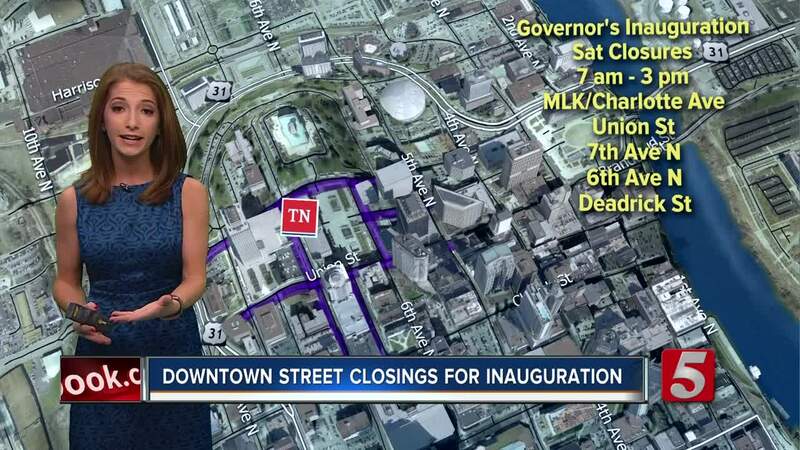 NASHVILLE, Tenn. (WTVF) — Metro Nashville Public Works will be closing several downtown streets this weekend before and during the inauguration of Gov.-elect Bill Lee. The inauguration was initially set to be held outside of Legislative Plaza at 11 a.m. on Saturday, but due to weather concerns, it was moved to War Memorial Auditorium.